The Labor Archives of Washington (LAW) was founded in 2010 to preserve the records of working people and their unions and to serve as a center for historical research, ensuring that new generations have access to the rich labor history of the region. A unit of the Special Collections of the University of Washington Libraries, the Labor Archives is a collaborative project of the Harry Bridges Center for Labor Studies and the University of Washington Libraries. 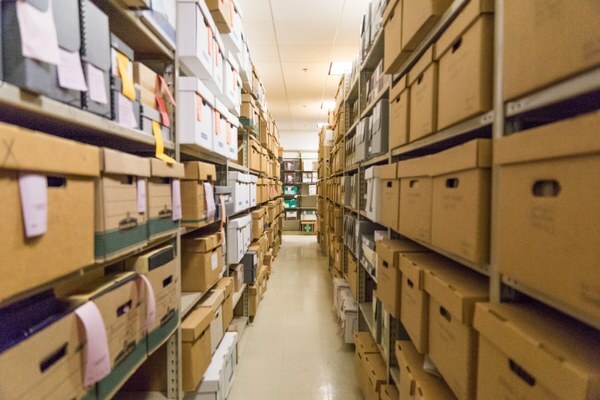 Initial funding for the Archives came largely from the labor movement; the contributions of dozens of unions and hundreds of individuals made this possible. Their names are recorded in the Labor Archives Founders Circle. The Labor Archives contains more than 300 collections of labor and labor-related materials from individuals and organizations. These collections document the local, national, and international dimensions of the labor movement in the Pacific Northwest. Collections document the intersection between labor unions and social justice, civil rights, and political organizations that feature a labor relations or labor rights as part of their focus. Union Collections - Many unions have made the Labor Archives the official repository for their historical records--minutes, office correspondence, membership files, publications and contracts. Personal Papers - Labor leaders, attorneys, arbitrators, and rank-and-file workers, and labor rights supporters have donated their personal papers. Organizational Records - Records from organizations that supported organized labor, worker's rights, and civil rights and also records from labor critics and opponents. Also included are records of employers, some of which were the collective bargaining partners--and sometimes opponents--of unions. Digital Collections - LAW has over a thousand photographs and digitized documents showing workers, industrial settings, strikes and union activities, civil rights campaigns, and more. Northwest Labor Press - The Northwest Labor Press is an independent, union-supported newspaper. The print edition is mailed out twice a month to over 50,000 members of more than 80 unions in Oregon and Southwest Washington. An online edition has been maintained at nwlaborpress.org since 1997, and is distinct from the print edition. This Labor Archives collection is of the print edition from January 2006-December 2017. SeaTac-Seattle Minimum Wage History Project, a digital archives of documents and interviews. Including audio and video interviews with dozens of supporters and opponents who were in or affected by the struggles over a $15 minimum wage at SeaTac and in Seattle as well as the broader, ongoing effects and efforts at a national level. Oral History Portal, includes dozens of oral histories that relate to workers and their lives. Particular strengths are oral histories of labor activists and organizers, women, African Americans, Japanese Americans, and Jewish Americans. Union/Labor Websites - Collection of labor union and labor related websites archived by the Labor Archives via the Internet Archive. Watch episodes of LAW’s TV segment on UW360, a University of Washington television program. Stories highlight our collections and researchers, airing on KOMO, UWTV, and streaming thereafter. View playlist. Listen to our regular radio segment, “Learn Yourself”, on KSVR FM’s We Do the Work radio program, which examines labor history events and highlights our collections and other sources to inspire researchers to pursue their own research on the topic. The segment is part of Public Radio Exchange and is broadcast via affiliates nationally. Listen to the shows. The Labor Archives of Washington invites all labor and labor related organizations in the Pacific Northwest with records related to labor history and interrelated civil rights and social justice organizations/activism to participate in the Pacific Northwest Labor Records Survey! For labor and related organizations: This information will give LAW a broader knowledge about where records reside, understand the formats you have and are creating, understand your storage conditions, staffing, and concerns about your records. For archives, libraries, and cultural institutions: This information will give the LAW a broader knowledge about where records documenting labor history in the region currently reside, enabling us to compile a regional directory of labor historical records as well as integrate this information into the Society of American Archivists, Labor Archives Section’s Labor Archives of the United States and Canada: A Directory. Follow this link to the survey for archives, museums, libraries, historical societies and other cultural heritage institutions. This survey is being administered in conjunction with a survey distributed to labor organizations in the state of Washington to gather information on the state of labor historical records within union organizational offices. If would like to complete the survey over the phone or by paper, contact Assistant Labor Archivist, Crystal Rodgers at rodgercr@uw.edu or 206-685-6903. The Harry Bridges Center for Labor Studies, University of Washington- The Bridges Center coordinates the efforts of faculty members throughout the University of Washington to develop and expand labor-related components of the University's curriculum and provide encouragement and assistance to young scholars studying work and workers. The Bridges Center co-founded the Labor Archives of Washington in 2010.